You Need A Budget (YNAB) - Per..
Mac OS X, Linux, Windows, (Windows 7 / Vista/ XP / 95, / 98 / 2000 / ME / NT)Mac OS X (10.4.11 / 10.5.4 / 10.5.5 / 10.6), * And Linux (Fedora 8 and later / Ubuntu 7.10 and later / OpenSuse 10.3 and later) * Benefit from four unique, powerful rules for maximizing control over your money * Gain financial peace by tracking all of your spending (dining out, groceries, bills) with one simple interface * Be up and running in just minutes, also save time by importing your bank transactions * Generate reports, schedule recurring transactions, and GAIN CONTROL. 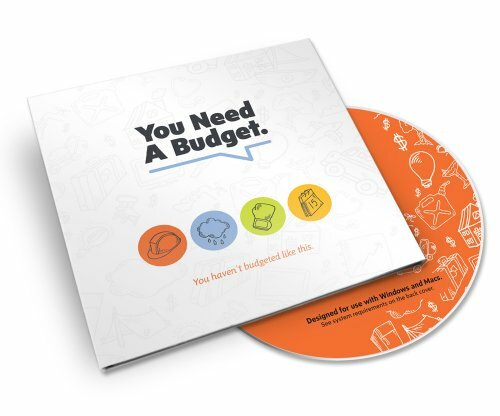 * Stop living paycheck to paycheck - Get out of debt - Save more money faster Praised across the internet as hands-down the "best budgeting software", You Need A Budget (YNAB) cuts to the chase with your finances. The software focuses you on the foundation of your finances: the Budget. Experience has shown that when your budget is intact, and functioning correctly, everything else takes care of itself (the bills are paid on time, retirement contributions are made, and unnecessary debt is eliminated). The software is built around Four Rules of Cash Flow. These Four Rules will help you break the paycheck to paycheck cycle, get out of debt, and save more money faster. Where other software packages tend to be the products of years of feature creep, YNAB offers you exactly what you need: a simple, straightforward system to manage your money. Remember to take advantage of YNAB's fantastic support resources: video tutorials, and free live budgeting classes for any and all interested! YNAB is built on the powerful Adobe AIR platform, which means you can run it on Windows, Mac, or Linux! YNAB Rocks! In a truly frightening kind of "I spend that much money on THAT!" way but in a great way because you can see the impact of your daily coffee habit on your car insurance payment 6 months away.YNAB allows you account for all your annual bills in 1/12 increments and then when they roll around the money is there to pay for them.The heart of the YNAB system is a "buffer" which is comprised of last months paychecks in order to allow you to save this months paychecks. You can only live on last months ..
Cady "Cady" (St Pete, FL..
...and wasn't intended to be. I've been a Quicken user since the DOS days (around 20 years), and have tired of the level of detail I need to track and the time it takes to do it. For those previous reviewers complaining that the positive reviews sound like propaganda (I'm paraphrasing), I assure you I have no connection with the company at all, and had never heard of YNAB until quite recently. This review is of YNAB 3.Before buying YNAB, you must understand what it is and, perhaps more importantly, what ..
Mark Baker (Phoenix, AZ ..